Danos tu opinión detallada sobre el Máster Presencial Master of International Business English - MIB y comparte en facebook o twitter esta página y automáticamente pasarás a formar parte de los candidatos a llevarse los 500€ de la beca TopFormacion. No olvides decirnos que te pareció el temario del curso, el profesorado, la accesibilidad al equipo del centro para resolver tus dudas y, en el caso de los programas online, la calidad del campus virtual. El Master of International Business (English) MIB es presencial y se imparte en Madrid y Barcelona. Tiene una duración de 70 ECTS. Students are offered the possibility of studying a semester abroad in Paris - Pvp 6.625€. Gain management experience focusing on global perspective and international vision. Studying at EAE really marked the difference for me in the São Paulo job market and in less than a month after returning from Spain, I had a Job with Everis, a Spanish Business Consultancy Firm. The MIB is a general programme of educational training in international business management, which focuses on all aspects of corporate administration. The programme integrates studies in all the areas of business activity in an effort to develop the most reliable policies and strategies that successfully achieve the objectives of a company in an international environment. The world of business requires experienced professionals with advanced knowledge in various fields of effective management, while at the same time demands personal skills such as flexibility, adaptability, reflection, resolution and creativity. The MIB is based around the four fundamental elements of a successful international business education: functional methods and techniques, personal development, the importance of strategic information decision-making, and aspects corresponding to creativity and innovation. They are all crucial to establish roles in today\\\'s multinational and multicultural firms engaged in the constantly evolving world of global business. Students are offered the possibility of studying a semester abroad in Paris. 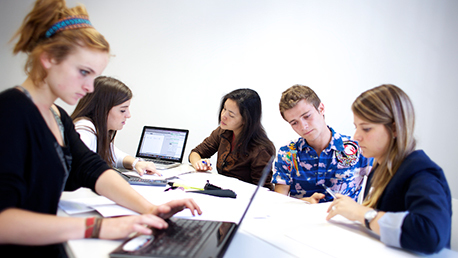 Founded in 1965, IPAG Business School is one of the most prestigious schools in France. It has campuses in Paris and Nice and a network of more than 90 international partners in 26 countries. The main objective of the admissions process is to ensure the suitability of the candidates for the programme, by looking at their professional experience and their academic CV. Our aim is for all participants to make the most of the experience we offer through a context in which they may develop a long-term relationship with classmates, teachers and alumni. In order to start the admissions process, it is necessary to fill in the form so that EAE Academic Committee can consider their application. If the decision issued by the Academic Committee for the programme requested is positive, the candidate can complete his or her registration for the programme. 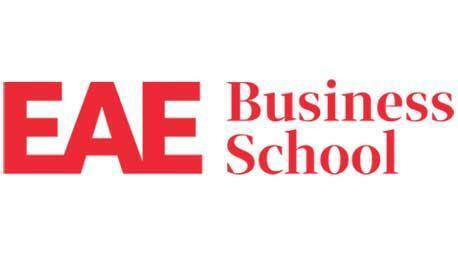 Students who pass the course will obtain the MIB from EAE Business School. Besides, students who fulfil the academic requirements established will obtain the degree from Universitat Politècnica de Catalunya (if studying in Barcelona) or from Universidad Camilo José Cela (if studying in Madrid). Ipag Business School Degree Students who study a semester in Paris and successfully complete the programme, will also obtain the IPAG Business School official degree. The main objective of the admissions process is to ensure the suitability of the candidates for the programme, by looking at their professional experience and their academic CV. Our aim is for all participants to make the most of the experience we offer through a context in which they may develop a long-term relationship with classmates, teachers and alumni. If you want to apply for admission, please click the Admission Process button. Within a maximum term of 7 days the candidate will obtain via email a notification containing the Academic Committee’s decision. If the decision regarding the Admission issued by the Academic Committee for the programme requested is positive, the candidate may formalise his or her registration for the programme. Once admitted, candidates can formalise his or her registration for the programme. You will receive all the necessary information together with the Admission Letter. -Train leaders able to evolve within the heart of complex international markets, and capable of inducing and managing flexibility and changes in reaction to new technologies, the appearance of new markets and social evolution. -Create leaders who are open-minded and receptive, capable of communicating and being creative. This course looks at and studies the main economic concepts, principles and theories that help to explain the structure and functioning of the modern international and global economy. The course provides students with the theoretical and practical tools necessary to improve their effectiveness and productivity in international business activities. The course will introduce you to modern management concepts and their historical development. It will acquaint students with managerial planning, organisation, control and motivation, ethics, decision-making and communication as well as various elements of group behaviour and leadership. The course will enable students to identify and apply the main concepts and techniques of marketing to business problems. Marketing as a process, marketing planning or the role of marketing strategy within the business strategy dealt with during the course. The course defines the core elements to develop an e-business strategy, including branding, competitive analysis, technology assessment, business method models and preparing for emerging trends. Course assignments will involve extensive case studies and on-line research. The course provides students with a basic understanding of the techniques of corporate financial management. Students deal with the tools necessary for a financial planning and management at the medium and short term. They will also learn to evaluate the financial statement of an international company. The course provides an understanding of the new risks that increasing globalisation has brought to multinational enterprises and it examines these risks and the way in which they can be managed. Tax treaties, transfer pricing rules in international taxation, international estate planning, European tax law and international tax policy, basic international tax planning and value added taxation are some of the topics that will be dealt with from a business perspective. Project management tests the knowledge, experience and personal qualities required by a professional project manager. Today, project activity and education in project management are making a comeback as work methods and procedures used by organisations to meet the challenges of increasingly international operating environments. The course is aimed at all managers and future managers of firms that have an international focus and an eye on market expansion. The course examines these issues from the perspective of a range of corporate indicators and it is designed to provide students with the knowledge and skills necessary to improve decision-making on international issues for any corporation. 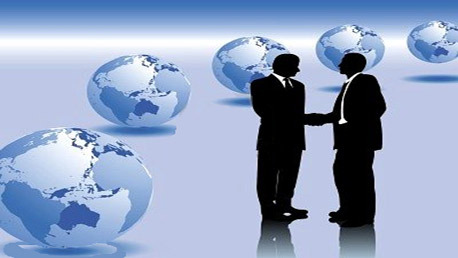 In today's business dealings, parties frequently have their principal places of business in different countries which raises various legal issues not present in a domestic transaction. There is an increasing body of law, which many countries adhere to and in this course we will be focusing on this and how legal risk in international transactions may be minimised. The objectives of this course are to introduce students to the basics of people management in organisations, allowing them to identify the internal and external factors of human resource management that are considered to be the most influential ones. The course focuses on internal and external communication as a shared responsibility for all members of an organization and the need for training internal communication skills to achieve an effective and efficient communication with superiors, subordinates and peers, individually and in group. This course provides students with an opportunity to draw upon previous experiences and education, to apply various business concepts and analytical tools to complex problems and issues in organisational settings. The academic staff at EAE Business School is made up of expert professors in their area, who combine teaching with directive responsibilities in different companies. This is the best guarantee to acquire the more useful, up-to-date and practical techniques and concepts. EAE lectures share their expertise and their knowledge on the latest research and business concepts in class through case studies, role-playing, company visits and group workshops. In some courses, group projects are an integral part of syllabus. Today's business leaders understand that learning is a strategic advantage. EAE offers an interactive, highly functional learning experience for a lifetime of success. Business people who are seeking to renew their outlook will discover that EAE provides a pivotal opportunity to step back from day-to-day-business, to explore new ideas, and to experience the freedom of learning. The course provides students with the experience of carrying out a major piece of research, enabling them to draw on the knowledge and skills gained throughout the course, while providing them with an opportunity to demonstrate to potential employers their intellectual and practical capacities. It will be evaluations of each part of the MIB programme, and all the evaluations will be taken into account when considering the final grade. During the academic year, the participants on the course will carry out and present a final Project. The final grade for this project will be based on the final report and the group dissertation at the end of the programme.